Mogadishu University and the Open Learning Exchange (OLE) have signed an agreement to develop a partnership that will enable Mogadishu University to establish a national Community Learning Center program, comprising community-based and supported centers that will enable their people to learn and live with dignity. The Community Learning Centers will serve all ages, making it possible for everyone to acquire the knowledge and skills needed to engage in productive and satisfying work, to work together to grow safe and prosperous communities, and to experience a personal sense of agency, meaning and connections throughout their lives. 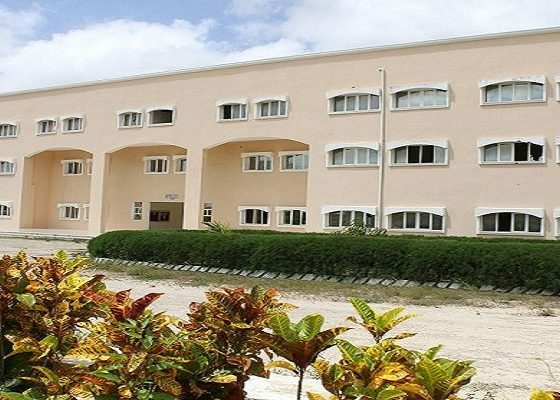 The Centers will serve as community-based extensions of Mogadishu University providing a low-cost, convenient, and effective way for those living in remote and impoverished locations throughout Somalia to acquire the knowledge, skills, and certifications that will enable them to meet the changing needs of their communities. A clear and compelling mission statement and proposed name and logo for the program. A full-time team of at least four people to include a program director, a technical support administrator, a librarian, and a curriculum coordinator. A plan for creating a minimum of four priority Personal Career Pathways including the related collections of resources for a series of courses leading to Career Pathway Certificates from Mogadishu University in such fields as health, business, technology, education and food. A plan for a pilot that will involve helping one or two villages or neighborhoods in or near Mogadishu create network programs that are aligned with their personal and community needs and priorities, and that meet Mogadishu University standards and requirements. One-year and three-year proposals for the network program, including the financial and human resources needed to demonstrate and document the effectiveness and scalability of the network throughout Somalia and beyond. Join our email list for occasional news, updates, and thought-leadership notes from OLE’s founder and CEO, Richard Rowe. MISSION – The Open Learning Exchange is moving from education to learning to enable power, meaning and connection for children, youth, and their communities. © 2017 Open Learning Exchange, inc.